TLC currently offers both Residential Care and Supported Living options to individuals who have a moderate to severe Learning Disability with complex challenging needs and/or a Mental Health diagnosis who are over the age of 16. Acorn Avenue - Acorn Avenue is 3 bedroom home offering ground floor accommodation with communal lounges and kitchen. There are two en suite shower rooms and a communal bathroom. It is staffed 24 hours a day including night staff. Acorn Avenue has a separate enclosed garden and patio area. Blamster’s Bungalow - The Bungalow is also 3 bedroomed with one en suite bathroom and a communal bathroom. The lounge, dining room and kitchen are shared. It has a separate enclosed garden and patio area.It is staffed 24 hours a day including night staff. Blamster’s Cottage - Blamster's Cottage has two bedrooms and shares all facilities with the Coach House. 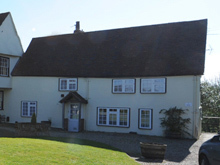 This house is staffed during the day and shares night staff with the Coach House. Blamster’s Green - Blamster’s Green is a modern building built on one level and was designed specifically for TLC. There are six individual suites comprising of lounge (some with kitchenettes), bedroom and en-suite bathroom. The home also has a large communal kitchen, dining room, lounge and a spacious enclosed garden. 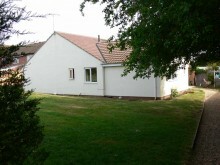 Blamster’s Link - The Link is situated off site down a long private road and is a five bedroom chalet bungalow. There are three bedrooms upstairs and two down. One room has an en suite and there are two further bathrooms. The Link has very spacious communal areas consisting of a lounge, dining room and kitchen. The grounds are extremely spacious and secure.